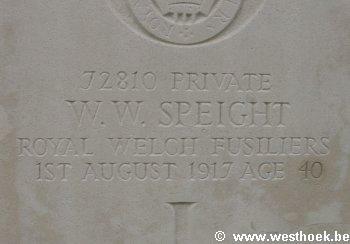 Private WALTER WILD SPEIGHT 72810 13th Bn., Royal Welsh Fusiliers formerly (206640), Army Service Corps who died on Wednesday 1 August 1917. Age 40. 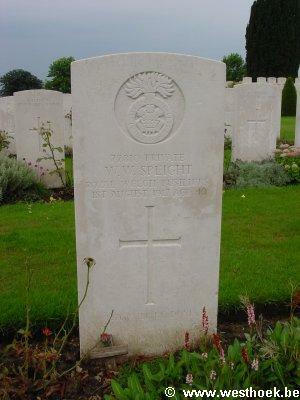 Son of William and Ana Speight, of Hatfield, Doncaster; husband of Alice Speight, of 25, Stanhope Rd., Doncaster. NEW IRISH FARM CEMETERY Grave IV. B. 16.